Circus movies have a long and interesting history: From classics such as The Greatest Show on Earth to modern day hits like The Greatest Showman, from legends making circus movies (Charlie Chaplin in The Circus and Fellini’s La Strada) to circus movies that became legends (like Wings of Desire)… Audiences seem to be fascinated not only with live circus but with its various depictions on the silver screen. Disney’s animated Dumbo (1941) holds a strange place in the pantheon of circus movies: On the one hand delightful and heart-wrenching (who hasn’t shed a tear when mama Jumbo sings “Baby Mine”? ), on the other side bizarre and at times problematic (the crows an outdated and racist stereotype of African-Americans). But as Disney announced a live-action remake of the old, beloved animation feature, Tim Burton seemed the perfect choice. Not only is Burton known for his strong, unusual sense of aesthetic befitting any circus, he also has a history of including circus characters, scenes and themes in his movies. My personal favorite is the circus scene in Big Fish, where acrobats and jugglers freeze mid-trick as the hero spots his love interest across the room. Ironically, Danny DeVito – who played the circus owner in Big Fish – plays a circus owner in Dumbo, too. 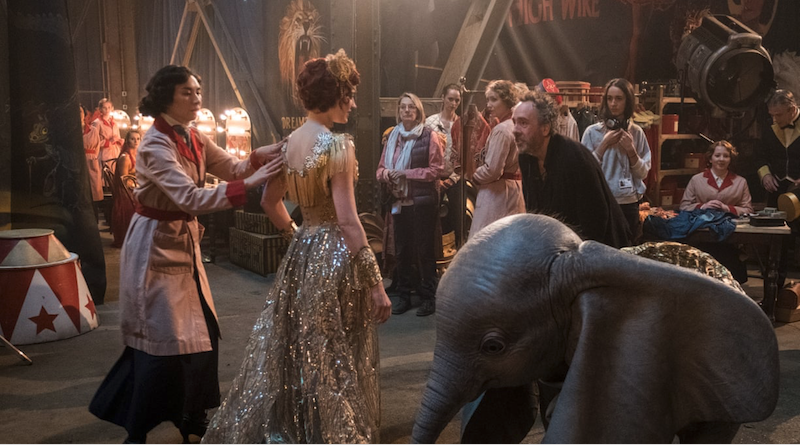 With Tim Burton’s live-action remake of Disney’s Dumbo just around the corner, we interviewed a small few of the film’s huge circus crew to get a glimpse of its circus happenings. Our interviewees included: Bryan Donaldson, a former aerial artist who consulted the film on rigging. Katharine Arnold, an aerial artist who served as Eva Green’s stunt double, and Roger Robinson, the movie’s clown choreographer. Stav Meishar: How did you get to be involved in Dumbo? 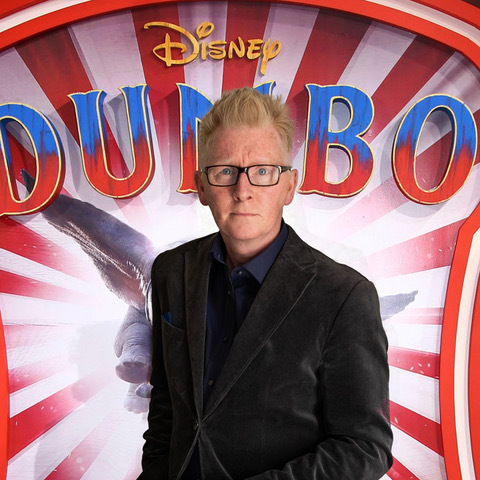 Bryan Donaldson: I was contacted by the former Roundhouse circus producer (Leila Jones) and arranged a meeting with the Disney producers to talk about their upcoming project which was secretly named ‘Big Ears’ at the time. We met and discussed various ideas for the film and I was contracted shortly afterwards. Roger Robinson: I was contacted in late 2016 by Kristian Kristofer, the film’s circus choreographer. Then in January 2017 he, Leila and I used our combined resources and brought together a troupe of circus artists for Disney from around the world to create a bespoke live circus show for Tim Burton and the Disney producers down at the iconic Pinewood Film Studios. I devised / choreographed several acrobatic & clown routines that we presented to Tim and and the producers along with a collection of international circus acts, some of which went on to be cast in the movie – including Katharine. SM: What did a typical day on set look like for you? BD: We would arrive early at Pinewood Studios and straight into wardrobe for costume, hair and makeup. We were also involved with the training of Eva Green who plays the trapeze artist Colette in the film, so would then head to the circus rehearsal studio to operate our winches lifting her up and down whilst she was being trained by Katharine. Following that we’d be called onto set if required, usually finishing around 6pm each day. Katharine Arnold: 4am start, usually! Training with Eva, and David Kingsbury, a personal trainer who also worked with us. Then hair and makeup for a few hours to make me look like her – wigs, corset, full face of makeup. Then waiting on set or in my trailer until it was time to shoot our scenes, with a bit of my own personal training in between when there was time. I was the stunt double and aerial trainer for Eva Green, so I trained with her for an hour each morning and then performed the aerial stunts. I also worked closely with Kristian who was the overall circus coordinator to design and choreograph the aerial numbers. RR: I think there is a misconception that working in the movies is easy… let me tell you movie folks work hard! In six months on set I can’t remember a working day that was less than 12 hours, we often worked a 14 hour day and that included all the actors. Even some of the more ‘elderly’ cast. Most days started around 7:30am joining the rest of the cast for breakfast before being called to set (those required) by 8:00am. As most people will know there’s a lot of waiting around in the movie industry and from my own past experience as a performer… it’s no fun having to sit in a green room for hours, sometimes days before your scene comes up. On this occasion, Disney were very respectful to the needs of the circus team and respected that circus artists need to train daily and to warm up properly so our core circus team were privileged to have our own fully equipped dedicated circus training studio down at Pinewood studios which acted as the base camp for the troupe of circus artists, co-incidentally positioned right next to the most amazing catering facilities.We were truly spoiled. SM: What was your favourite thing about working on Dumbo? BD: Well, apart from the great conditions and catering I would have to say working with such a diverse group of talented artists from all around the world and making some great new friends. KA: The amazing people that I worked with every day. The sets were incredible, the lighting was phenomenal, every single person there was totally brilliant at their job. And Eva – she is the most delightful human ever. She worked incredibly hard and went from having a fear of heights and swinging when we started, to being able to suspend herself with no harness on a moving chandelier. A total professional, and incredibly talented. Nothing but admiration and respect. RR: Agreed. It was such a privilege to work alongside such amazing creative talent every day. It goes without saying it was inspiring to be around a huge talent and an icon like Tim Burton, but we also had the pleasure of watching so many other great artists and creatives (each world leaders in their field) at work every day. Truly inspirational. SM: Cinema and circus are different worlds, each requiring different sets of skills and expertise. For this movie, both worlds had to work alongside each other. What was your experience of the relationship between the cinematic and circus teams? BD: From our point of view it was an experience of learning from both camps. 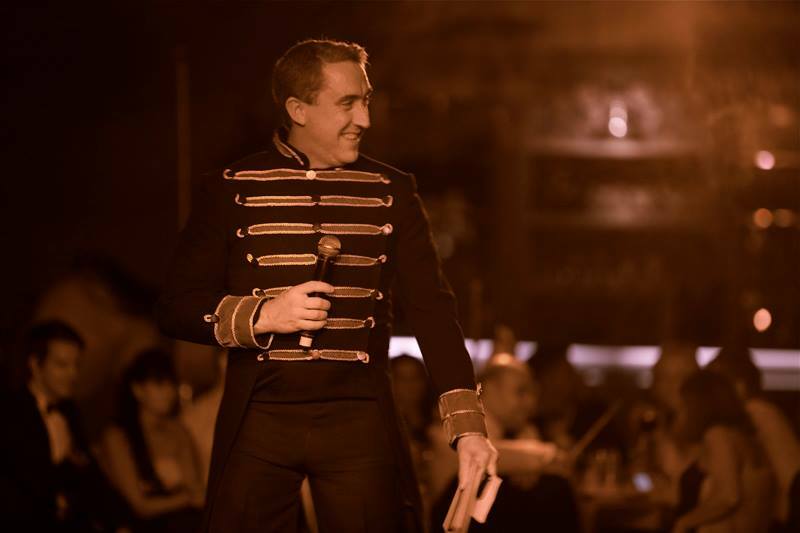 As circus performers we are prepared to perform our routines flawlessly from the start until the finish, utilising musicality and choreography. The reality on film is quite different, there wasn’t one time where the artists got to actually perform their routines in totality. It was very much a case of taking a snippet from an act and replaying a small sequence over and over until the director (Tim Burton) was happy with the shot needed! The producers very much wanted a feeling of authenticity with the circus scenes and went into great detail researching styles, etc. KA: Circus is all about live performance, so it was quite hard for all of us to sit still and do nothing for long periods. But we were given a training space and they understood the necessity of being able to maintain our strength and skills, so it was a pretty happy partnership, and we had a really nice gang all training together. Even our health and safety guy was a juggler by the end of filming! RR: I think due to the fact we were working alongside the best people in the business they seemed to understand and more importantly respect the commitment, dedication and passion it takes to rise to the top as a circus artiste and in general is was a very pleasurable experience. We were treated with enormous respect by Disney, Tim Burton and the whole production team. SM: For any films seeking to employ circus artists, what advice would you impart / what would you like to see happen? BD: For films seeking to employ artists I would advise them that they always provide the facilities for artists to train whilst waiting on set! Disney did provide this facility whilst working on Dumbo and was overall a very pleasant experience. KA: I would tell people to find a project to do whilst filming, as there are long periods of sitting around waiting. I did an online personal training qualification from my trailer so you can put the time to good use if you’re prepared! On our film we were treated well, but I guess always check your contract and stipulate the things you need before you start as once the machine gets going that’s it! RR: To be the best in your field, in particular as a circus artists you must be truly dedicated and passionate about what you do and this often makes us perfectionists, very self critical and often very protective about our art but when working in film (or theatre) you have to realise that your priorities (including showing your best trick for example) might not be the director’s priority whose role ultimately to tell a story. So the key is to be open, be flexible, and try to sneak in your best stuff if you can – but if you can’t it’s not the end of the world. Dumbo opens in US theaters on Friday March 29th. To learn more about the circus aspect of the film, click here to see a short behind-the-scenes video released by Disney. Stav Meishar was born and raised in Israel and leads a double life all around the world, mostly in New York City. During the day she runs Dreamcoat Experience, an award-winning nonprofit organization for arts-driven, experiential Jewish education. 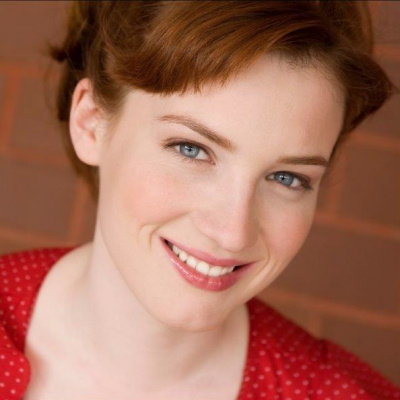 At night she is a writer and stage artist specializing in circus and theater. 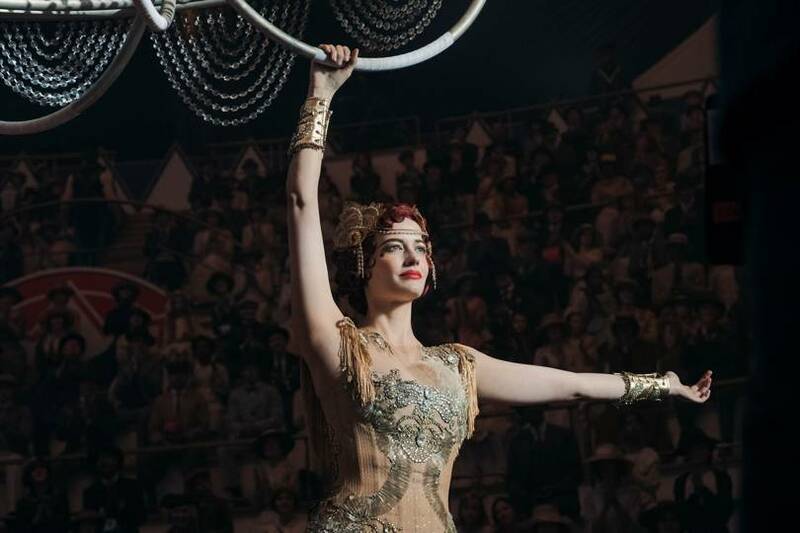 Sometimes, when she's lucky, she gets to be both at the same time – like with her most recent project, a solo performance based on the true story of a Jewish acrobat woman who survived the Holocaust by hiding and working at a German circus. Stav is committed to pursuing the gestalt of circus, history and education, but is incapable of committing to a single hair color.